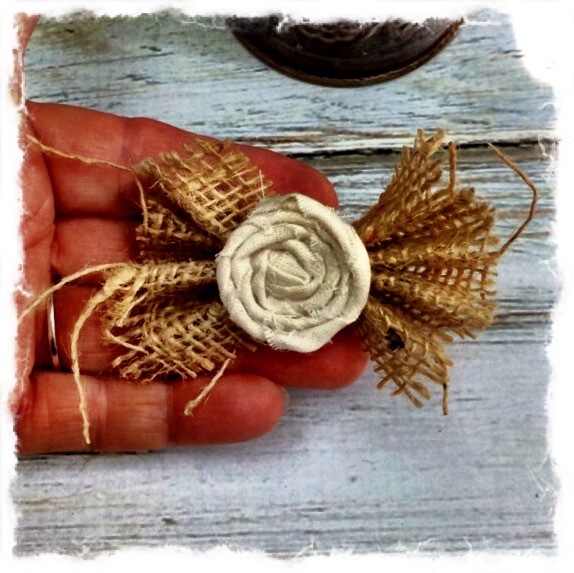 Here’s a easy diy burlap and fabric flower that can be used in your crafty creations. 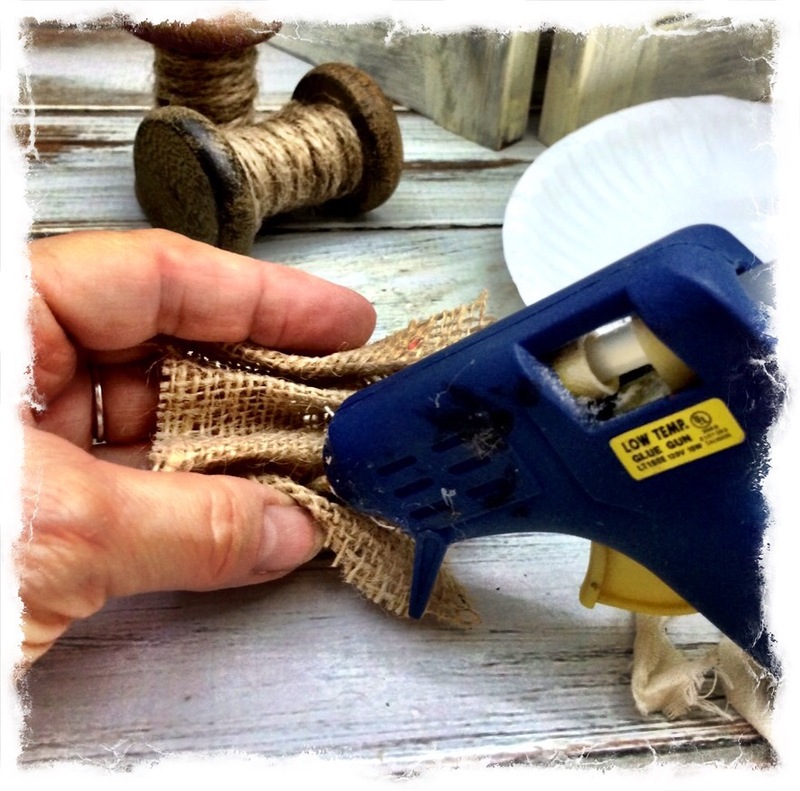 Take your burlap square and fold it up like your making a fan. Then hot glue between the folds, forming what looks like a bow tie. 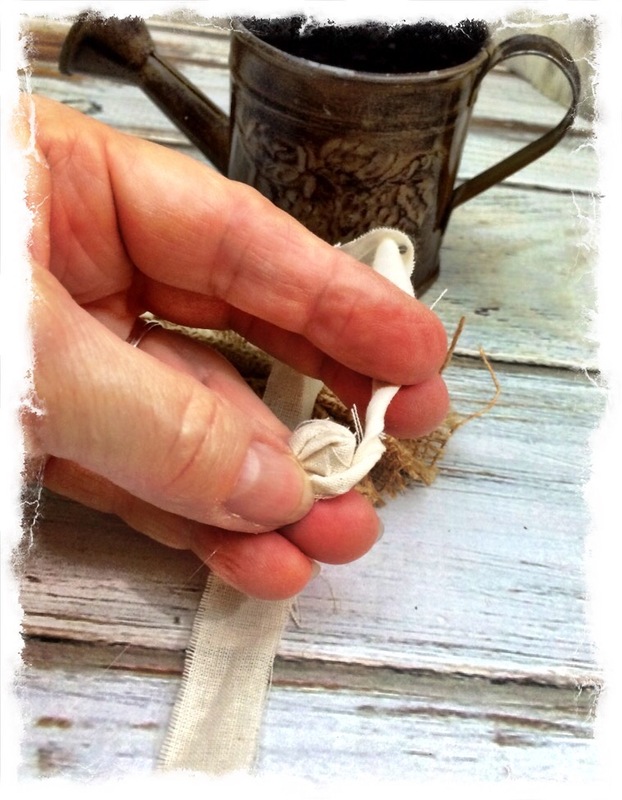 Take your fabric strip and twist, and roll, twist, and roll. Add a dab of glue. 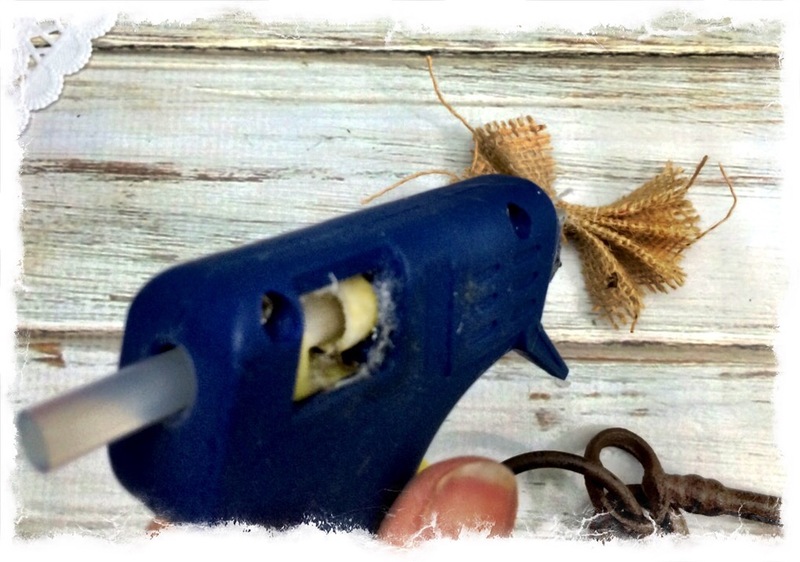 You will continue twisting and rolling, and adding a dab of hot glue. Continue until you have about 3/4″ of a tail left. 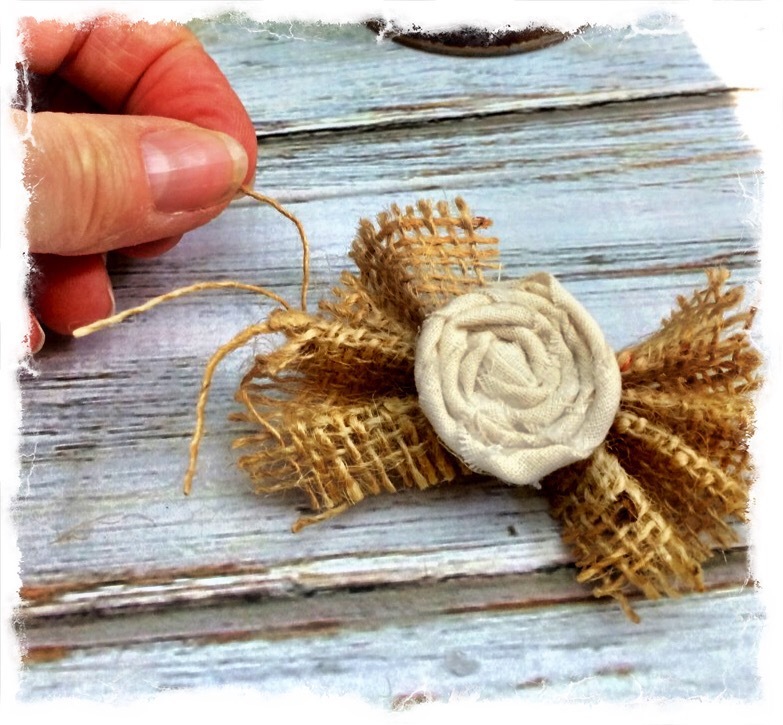 Then glue the tail down to the back of your flower. 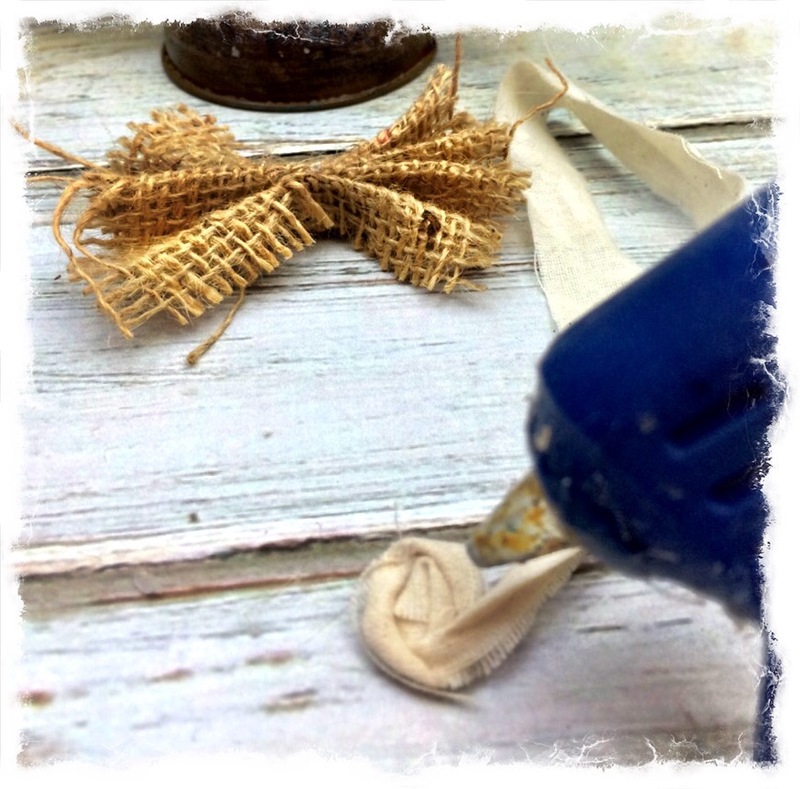 Now add a dab of glue to the center of your burlap bow tie. 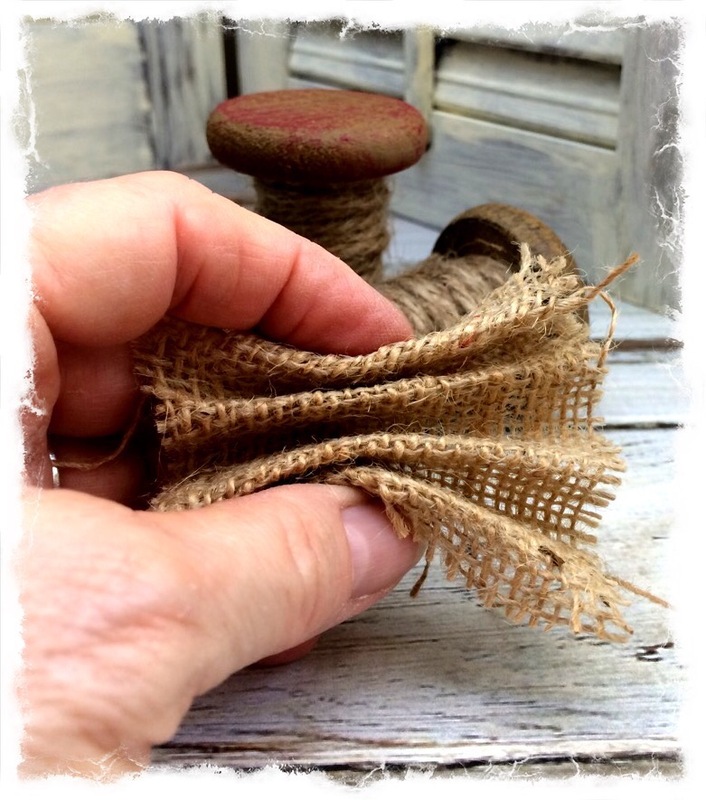 Now start pulling some of the burlap strings on end end to make the ends shabby. Join the edges together with a dab of hot glue. Do the same to the other side. 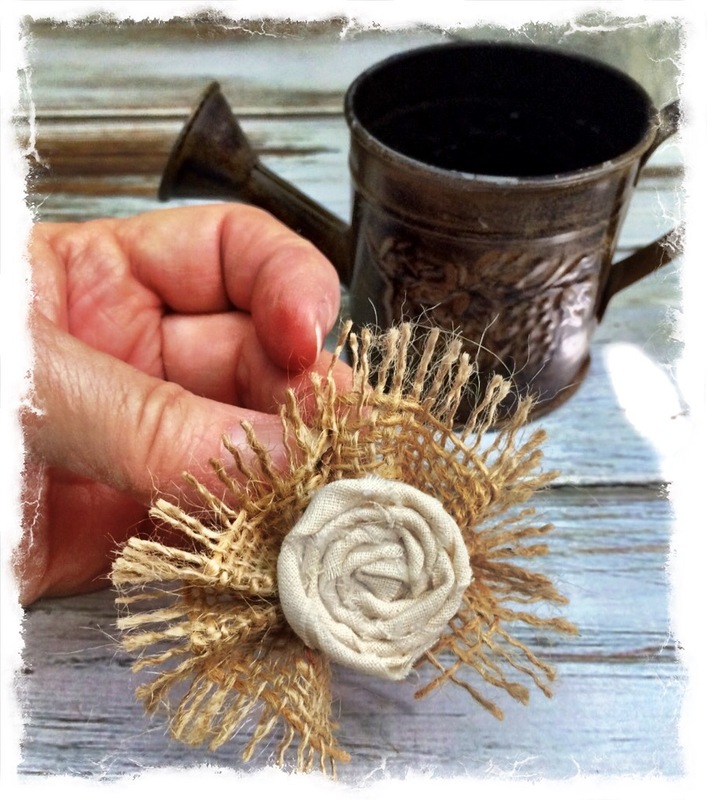 That’s it for this easy shabby burlap and fabric flower. Now it’s ready to be used in any of your crafty creations. 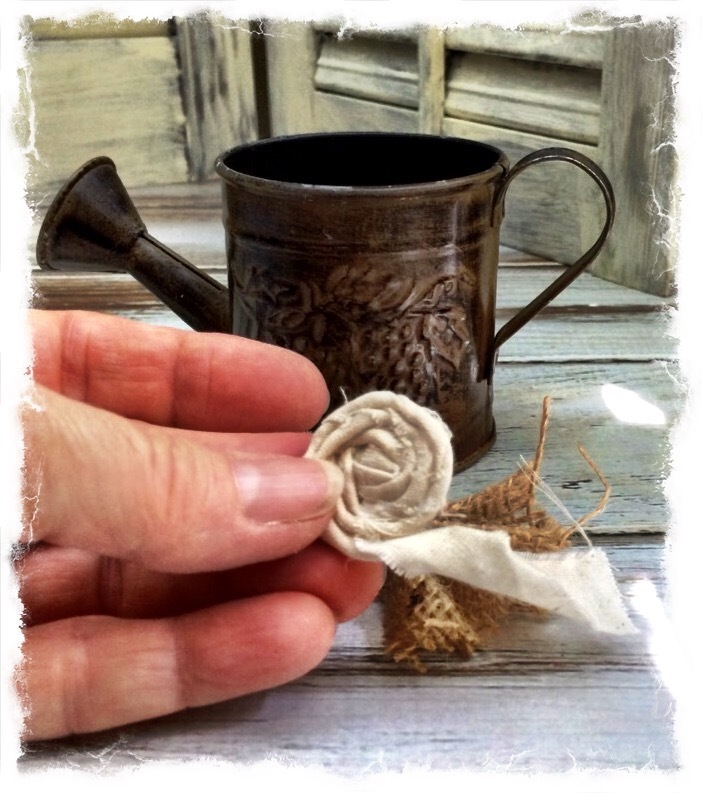 Do you make your own fabric flowers to use in your projects? That is cute and simple , and if you knew me, you would know I need it simple. But so many uses for this. Good explanation of the steps. I think I will use it as a gift “bow” next time. Kim Smith recently posted…I Hate To Go To The Grocery! Thanks Kim! 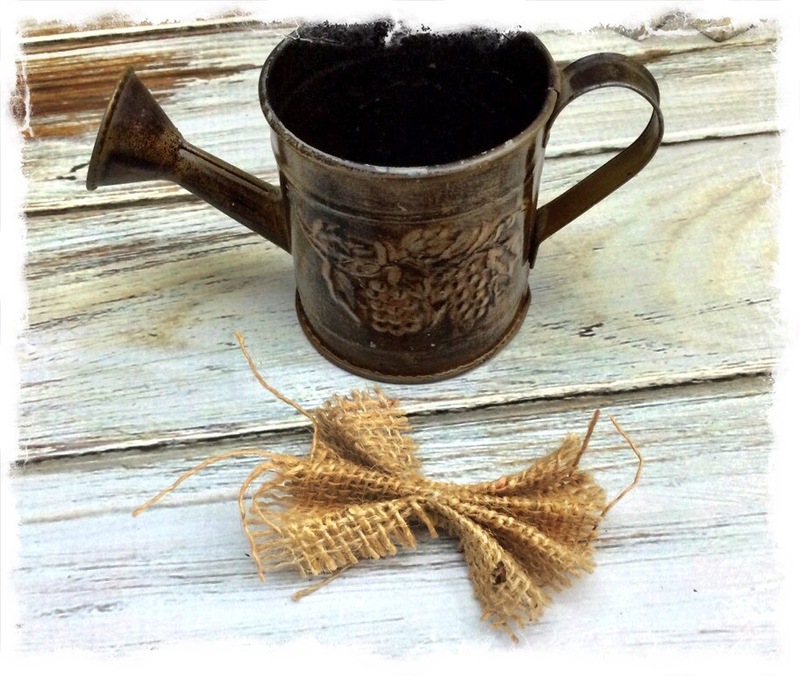 It would make a great gift bow. Very cute and simple. 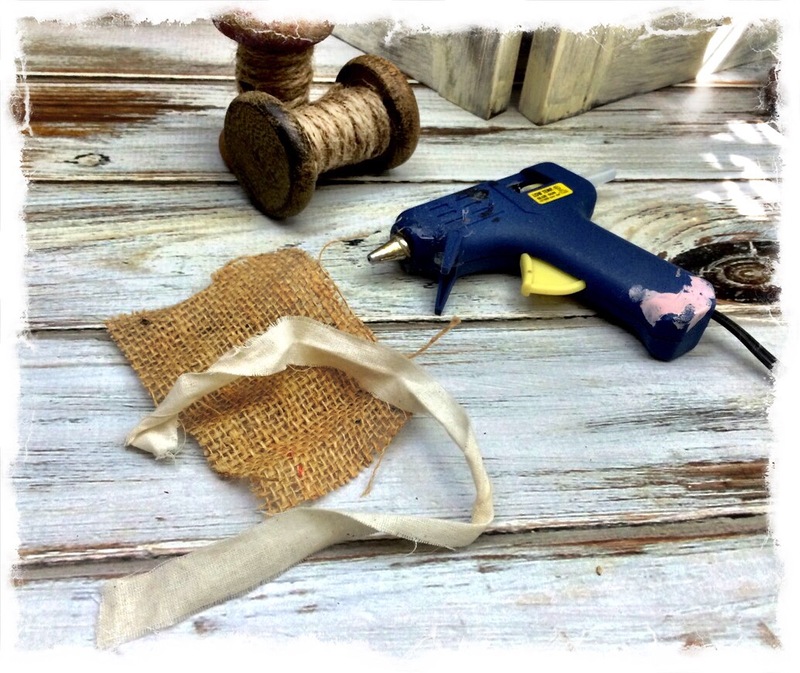 I love all the burlap projects I see and am looking forward to playing with some on a project soon. I also love Kim’s idea of using this as a gift adornment. Thanks Patti! 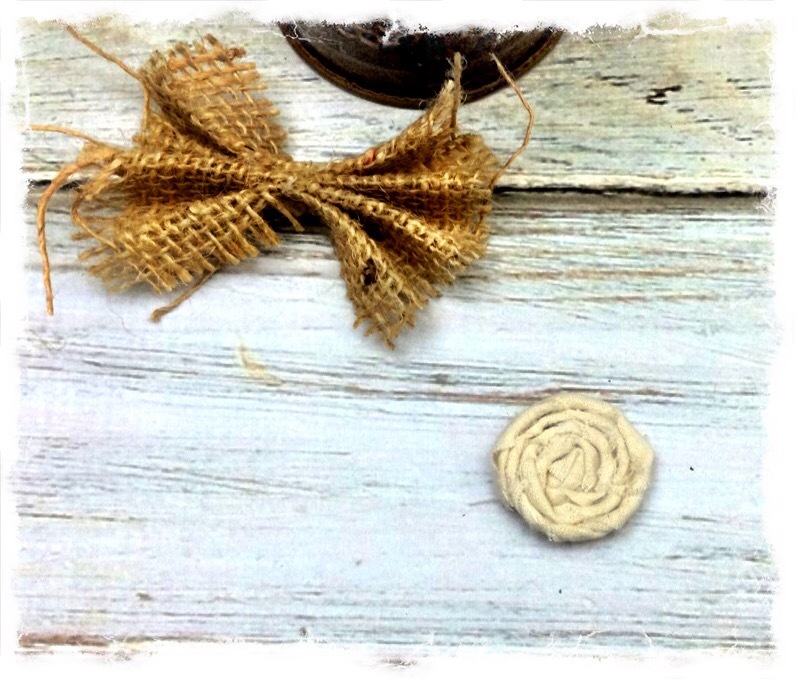 I love making my own flowers for projects when I can, and I agree they would be great in gift wrapping. I will have to remember that. Thanks for stopping by! Linda I think these are very pretty. I had such a hard time making these a few months ago. I ended up making them really big because small ones turned my fingers into jelly. You are truly talented my friend. 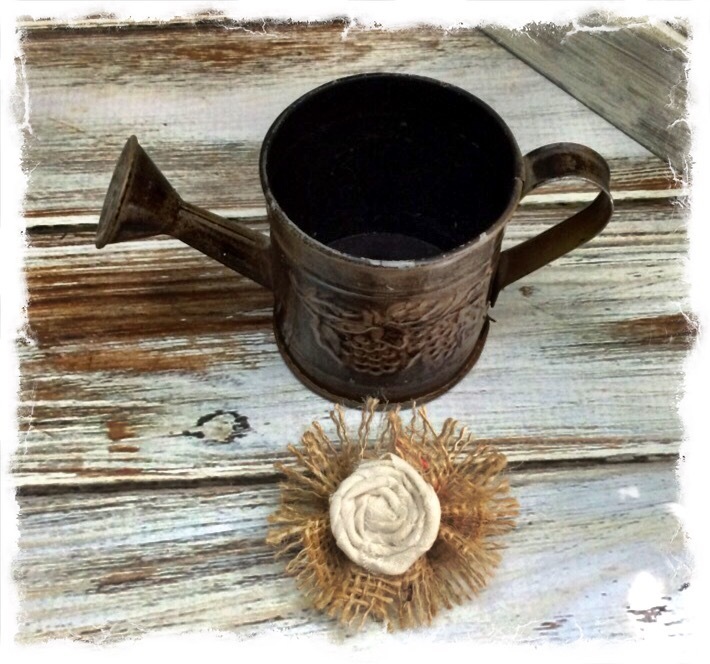 Thank you Mary!I love adding these flowers to craft projects when they need a little extra. 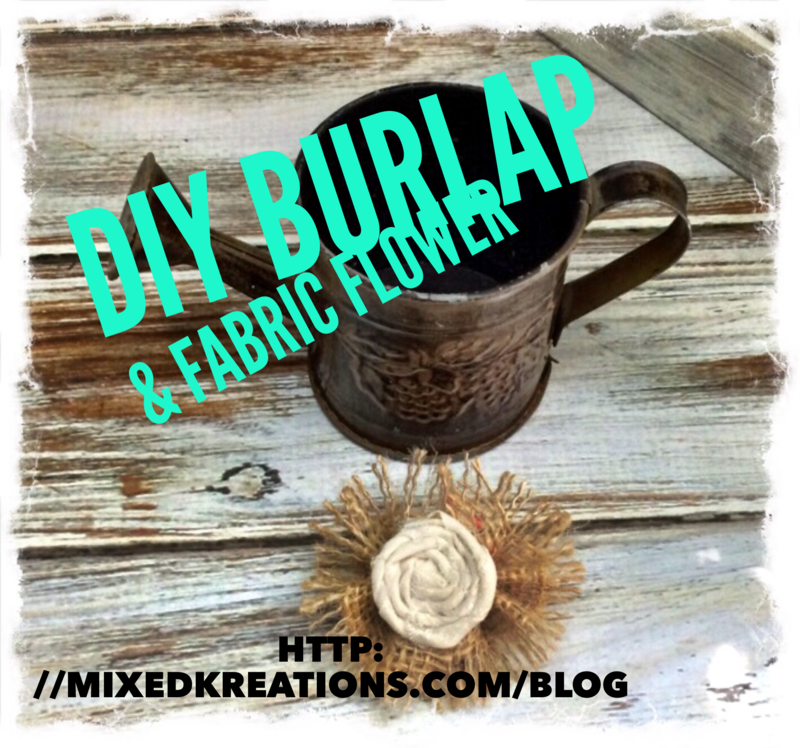 Their quick and easy and you can change them up with different colors of fabric, burlap, etc.